Home>helpful hints>Tips for the bride>What is he, the second day of the wedding festivities? I think many will agree with me that in lifeeach person the most unique, the most exciting and deeply memorable day - is the day of the wedding. The bride in the luxurious attire, the women dressed in elegant evening dresses, men in business suits. The celebration should be at the highest level and, therefore, responsible for such a time the young and their families are carefully prepared. 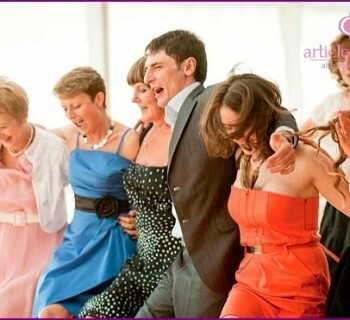 As a rule, the duties of this celebration are distributed between the newlyweds and their relatives. Choosing a wedding dress - not an easy task, and this has been the bride, for the groom is a choice of wedding rings, which is an attribute of family happiness. As for the family, they are engaged in the organization of banquets, as well as their responsibility to provide fun entertainment the second day of the wedding. To permanently imprinted wedding spree inMemory and young visitors, you need to approach this issue very seriously. So there was a tradition that the first day of a bride wearing white wedding dress. And on the second day is usually your outfit depends on what is scheduled leisure. It can be as suits and evening dresses and simple jeans. 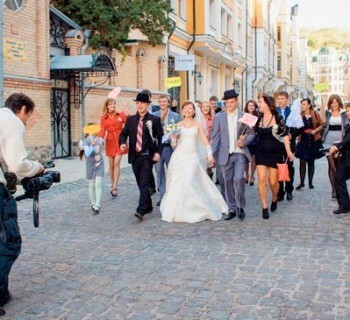 In the world there are so many options as possible to hold a second wedding day rapidly and fun. Typically, this may be a conventionalgatherings where all the guests gather at home or in some cozy cafe, and discuss what they saw with admiration. Then vigorously discussed preparations for the wedding and the holding of the first day. You can also view the video together, or ready-made photo, after taking the old wedding photos with parents and discuss what wedding dresses were before and what is now. Often, such gatherings are going to relatives and close friends. It may be active. Winter - it's skiing, snowboarding or tobogganing. If your wedding is in the summer, you can go to the country, to the country or the recreation center. If the couple want to make this day effektnosti and extreme, they can take a wedding dress and dress, and evening can be continued in a solemn and cozy atmosphere in the pre-order cafe. At the end of its celebration can make a small wedding carnival. This way you can make this day an active, fun, and most importantly memorable. 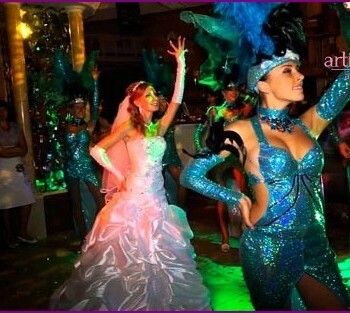 How would you decide not to organize and conductsecond day of the wedding, the main thing that you can heartily enjoy the fun and joy, to feel that you are in this day rested, got a huge energy boost. Only in this case, this wedding will long remain in your memory. And every time he passed showcases bridal salons, you will recall with admiration of this wonderful event in your life.